Pastoral care efforts are directed at fulfilling the commandment given by Our Lord to love one another, and by so doing, to love Him. To "be" pro-life is to "do" pro-life by sharing the time, talent, and treasures graciously provided by Our Lord to defend the sanctity of all human life from conception to natural death. The Respect Life Office offers information and materials in support of pastoral programs to assist couples and single girls and women facing an unplanned pregnancy, healing for women and men touched by the scourge of abortion, moral and ethical guidance for parishioners and family members facing illness, disability, or an end of life issue, and to reach out to all God's children everywhere in the world who are impacted by the current culture of death. ComPassio is the diocesan program for end-of-life issues. Taken from the Latin "com" (with) + "passio" (suffer), the basis of this program is to "suffer with", whether that represents the loving compassion of family and friends during the suffering of a dying loved one or the voluntary sharing in the love, passion and death of our Lord through our own suffering. Also part of the program are a Durable Power of Attorney for Healthcare document, approved by the bishop and the Missouri Catholic Conference, that can be distributed along with instruction and guidance available at no cost. Cures Without Cloning is a 501(c)(3) , tax-exempt organization founded by leaders from local pro-life advocacy and healthcare organizations, the Archdiocese of Kansas City in Kansas Pro-Life Office, and the Diocese of Kansas City - St. Joseph Respect Life Office. The program provides education on the intrinsic value and dignity of all human life that always begins at conception, whether initiated through the unitive and procreating love of a husband and wife or through advances in scientific clinical procedures. The goal of the program is to provide a forum for scientists, physicians, researchers and health care professionals to express their view on the values that should direct ethical stem cell research and to express their support for non-embryonic (adult) stem cell research. The program also aims to promote ethical therapies and cures through non-embryonic (adult) stem cell research. The Life & Justice Campaign is a program co-sponsored by the Diocese of Kansas City - St. Joseph Respect Life and Human Rights offices by which our faithful have the opportunity to support local organizations dedicated to defending the sanctity of human life and the dignity of the person. The March for Life is an annual pro-life rally protesting abortion, held in Washington D.C. on the anniversary of the January 22, 1973 U.S. Supreme Court decision in the Roe v. Wade case which legalized abortion for any reason throughout all nine months of pregnancy. The diocesan March for Life Pilgrimage is a four-day four-bus trip to Washington DC to participate in the Vigil for Life Mass at the Basilica of the National Shrine of the Immaculate Conception and the March for Life. The trip, made by approximately 200 pilgrims each year, includes educational, spiritual and social pro-life activities, sight-seeing, meetings with legislators and participation in pro-life Masses and rallies. The Meet Life Campaign is a Missouri Knights of Columbus initiative, together with Vitae Foundation and In His Image Ultrasound, that grew from the Supreme Council's Ultrasound program to help Knights councils purchase sonogram machines for local pregnancy resource centers. The program provides resources to assist local Knights of Columbus councils with purchasing sonogram machines and resources to assist pregnancy resource centers with promotion and website optimization. Pro 24 is the diocesan program to provide spiritual, emotional and financial support to parents considering an abortion and material support to our local Kansas City Coalition for Life (KCCFL) organization that coordinates semi-annual 40 Days for Life prayer vigils and regularly schedules sidewalk counselors at local abortion facilities. The program provides Christ-centered sidewalk counseling training, baby showers for mothers and fathers who choose life for their unborn children, funds and supplies and materials to local KCCFL sidewalk counselors and a volunteer team of KCCFL sidewalk counselors. Project Rachel is the diocesan program to support and to provide healing to women and men who are suffering the emotional, psychological and spiritual pain of the decision to have an abortion. The program, in partnership with Rachel's Vineyard Ministries, provides group healing sessions and weekend retreats, along with assistance in identifying additional pastoral, sacramental, and professional clinical resources when appropriate. 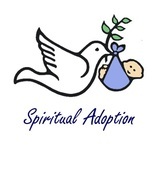 Spiritual Adoption is an age-appropriate, family-friendly program in which participants pray for a specific, but unknown, unborn child for nine months, learn about fetal development during the "pregnancy", and celebrate with either a "baby shower" in which baby items are donated to a local pregnancy resource center, or a "birthday party". Truth Illuminated is a flexible teen pro-life program based on Scripture, the teachings of the Magisterium and on Church Tradition. Truth Illuminated can be structured as a series of stand-alone pro-life presentations, as a pro-life supplement to existing Youth Ministry programs or as a complement to existing teen pro-life programs and activities. The program includes promotional materials, presentations on over a dozen pro-life topics designed for youth and an annual Teen Pro-Life Camp in the summer. The diocesan pastoral care programs above, as well as the other Respect Life Office programs of education, prayer and worship, and public policy advocacy play a key role in the mission of the Respect Life Office. Each is directly involved, as benefactors, as beneficiaries, and as partners with the faithful members of our diocese, with other Chancery offices, and with our community. When we think about leadership and volunteer opportunities, many times we only consider those on the front lines. However, it does not matter how effective we are at counseling of women and men on the sidewalks outside of abortion mills or in post-abortive healing sessions if we do not have volunteers organizing fund-raising events to keep programs going. It does not matter how many qualified people we have to provide education on stem cell research or end-of-life issues if we do not have volunteers promoting these events. Most importantly, every ministry needs a strong network of prayer warriors both inside and outside of our parishes. Remember, it is not just about agreeing with the teachings of the Catholic Church on the sanctity of human, everyone must also have the opportunity to share their own unique gifts. To learn more about specific leadership and volunteer opportunities within each of the pastoral care programs listed above, visit the corresponding diocesan program webpage by clicking on the name of the program or by selecting the program from the drop-down menu above. You may also contact a member of your parish Respect Life Committee or the Respect Life Office.